Physics Head Examiners Meet was conducted in DAV15 Chd on 25th March 2017 by the Resource Person, Mrs Kanta Manchanda. 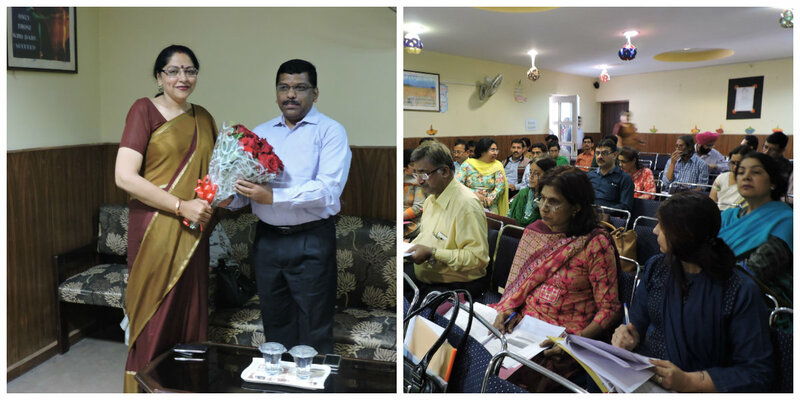 Principal Mrs Anuja Sharma welcomed the Head Examiners from Panchkula Region and motivated them to be student friendly. Regional Officer Mr. Joseph Emmanuel gave guidelines to head examiners for proper evaluation of papers. Mrs. Anjali Chabbra Deputy Director CBSE, Panchkula solved queries of Head Examiners. Mrs. Kanta Manchanda, discussed the marking scheme as framed in New Delhi by the experts .The meet ended on a satisfactory note.